The Donate Life Texas State Team includes the organ, eye and tissue donation organizations throughout the state. These dedicated employees of these organizations work hard behind the scenes to ensure donations become the gift of life for those waiting and a heroic legacy for those who donate. 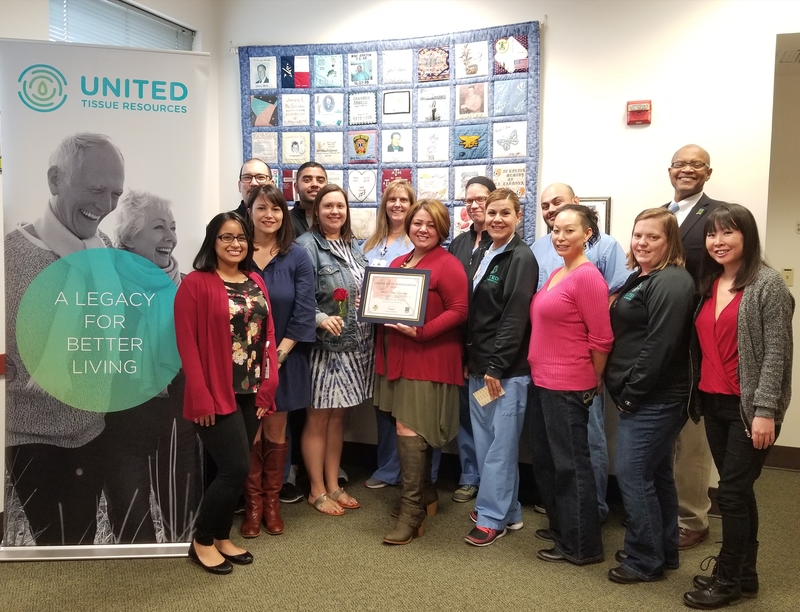 In celebration of their supporting role, Dignity Memorial is sponsoring a special recognition opportunity on the Donate Life Rose Parade Float. 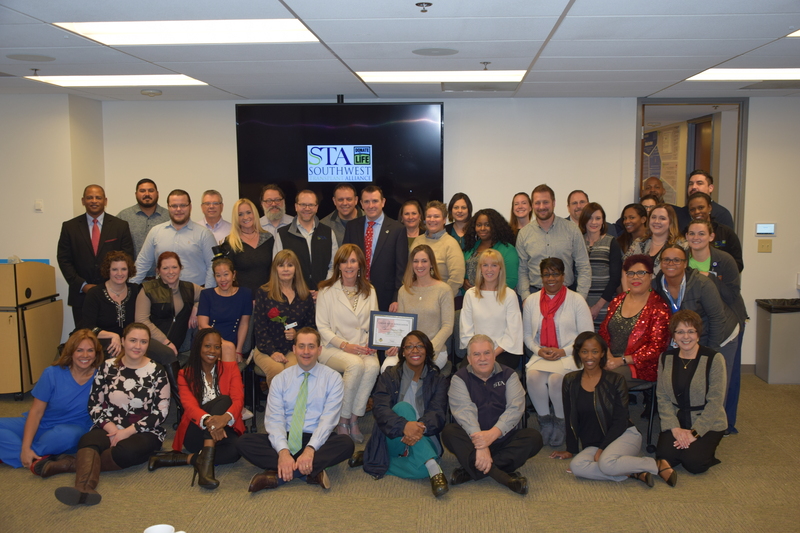 Each organization received a certificate and commemorative rose vial to share with their team. 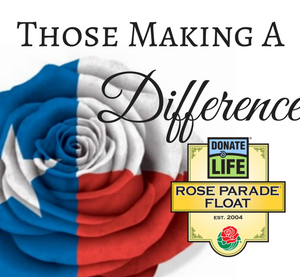 On December 29th, all Donate Life Texas State Team organizations will be represented during a rose placement ceremony as donation officials place honorary Making a Difference roses on the actual float. All of us in the donation community honor Donors as the ultimate Heroes that make lifesaving transplants possible. It is their selfless, generous act that saves lives. 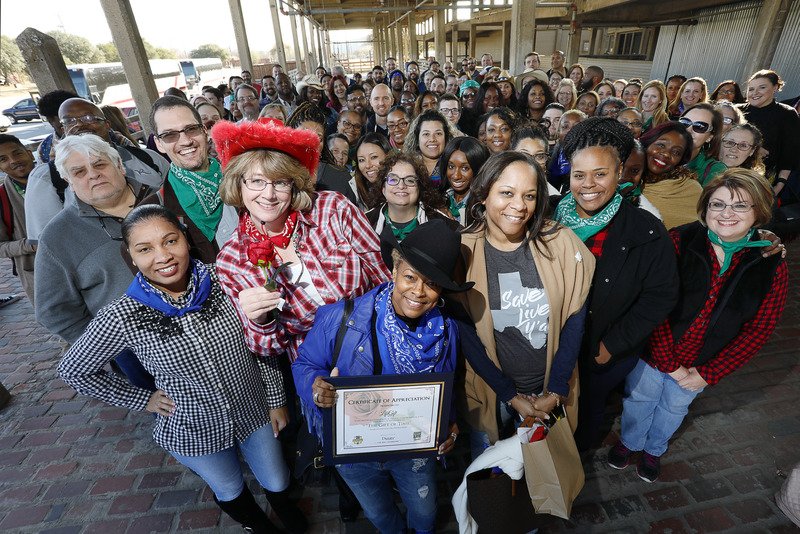 Here, Donate Life Texas asked each organization to share a special moment or story from the past year to give us the chance to recognize the often-unseen men and women of the DLT State Team organizations who also Make A Difference in 2017. In May, families gather outside the BioBridge Global Donor Pavilion to remember loved ones during a dedication ceremony for the GenCure Legacy Garden. This special space is a memorial to those who have died and a place for the grieving to find comfort. During the dedication ceremony, families were invited to share stories of their late loved ones and write personal messages on stones to be placed in the Garden. While some featured Bible verses and others were adorned with drawings, they all showcased extensive love for those they commemorated. The celebration concluded with a symbolic watering, allowing the garden to serve as a lasting tribute to the lives honored within it. The Legacy Garden continues to be a source of connection with loved ones who have died and with others who are traveling on a grief journey. 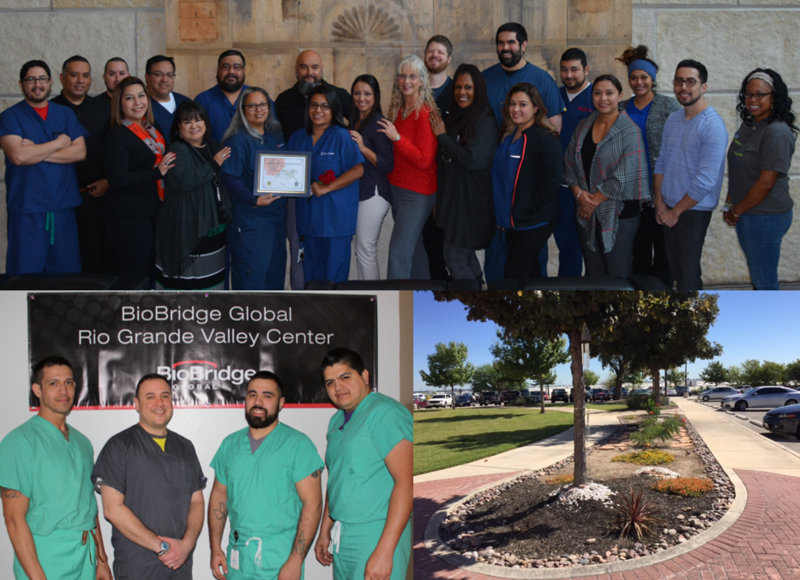 In 2017, donors from all over Central Texas allowed United Tissue Resources to make a difference in the lives of approximately 6,000 recipients of allograft tissue. During the Donate Life ECHO Observance, our Community Engagement team worked with community leaders and local media, to increase awareness of the need and impact of continued donor registration in multi-cultural communities. 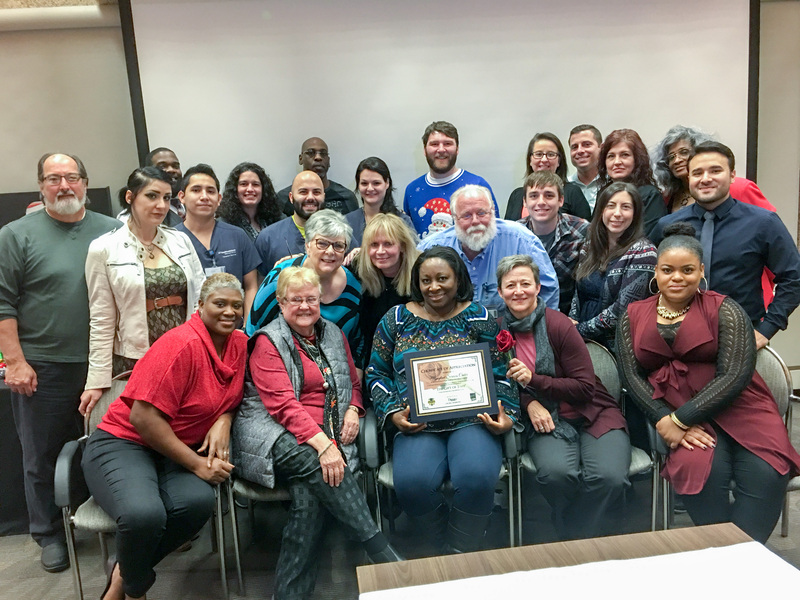 Our “Hope for the Holidays” event, provided donor families with resources for coping with feelings of loss and loneliness during the holidays. We move into 2018 with renewed excitement and optimism, as to how we might continue to make a difference for the families we serve! TSC chose to share an event highlight as their Making a Difference moment. Jaeda has seen a lot in her 13 years. In just the past two years, she has lost two brothers, both of whom became donors. 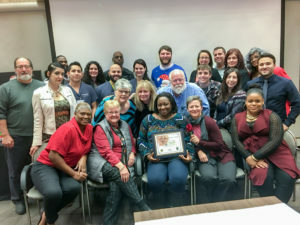 This year, Jaeda spoke before a gathering of hundreds of donor family members about her love for them and what their legacy of life has meant to her. SAEB appreciates the opportunity to represent our community, donor families, recipients, partnering surgeons and staff on the 2018 Donate Life Float. 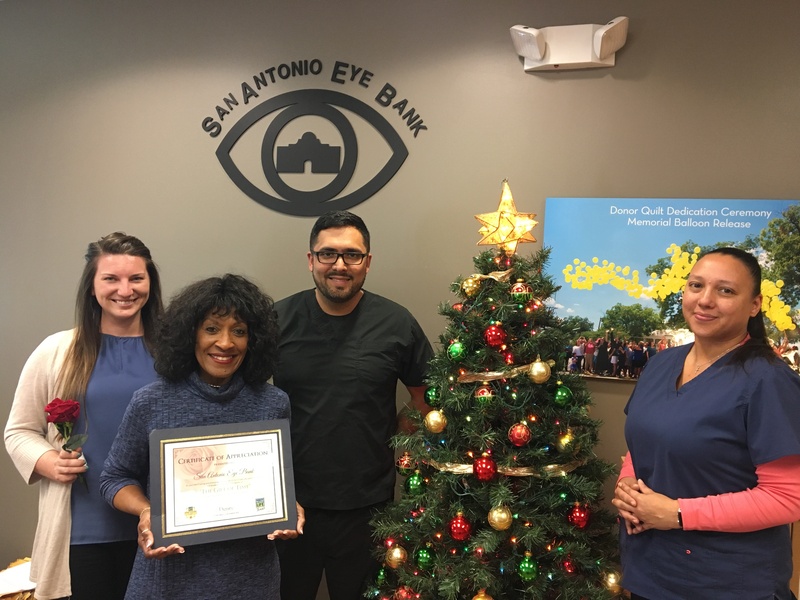 We hope that as South and Central Texas cornea donor families view the float on parade day, they know that the Gift of Sight was made possible thanks to their loved one’s donations. 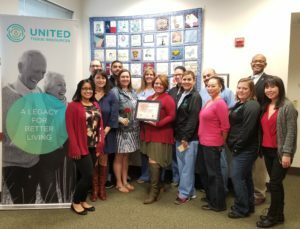 Moved by the experience of losing her son Braxton, Melissa Howell has become a volunteer and donation advocate through Southwest Transplant Alliance. To help others better understand the support offered to donor families, Melissa has worked with STA to record a video about her family’s experience. This touching piece demonstrates the hope donation can bring in a family’s darkest hour by creating a lifesaving legacy. Originally named the Gulf Coast Independent Organ Procurement Organization, LifeGift has evolved over three decades to serve the needs of the Texas donation and transplant community. LifeGift has celebrated many firsts and several notable accomplishments in that time. Read more on the LifeGift website.